Today is Gentle Friday at Central Michigan University – a tradition stretching back nearly 50 years. A few weeks ago, Cynthia Drake, editor of the Centralight Alumni Magazine, and Marcie Otteman, Director of Alumni Relations spoke to an engaged audience about the history of Gentle Friday at a Clarke Speaker Series event. 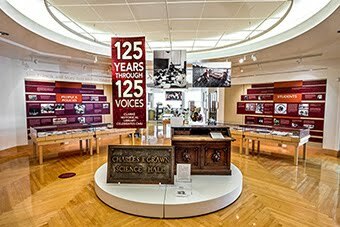 The presentation was filled with facts, stories, photographs, video, and audio as a way to paint a picture of what Central’s campus was like 47 years ago and how the campus and Gentle Friday have evolved over the years. The story began in the spring of 1967, when love-ins, teach-ins, and a free-wheeling spirit were emerging across the U.S. At the same time, tensions were increasing because of the Civil Rights Movement, opposition to the Vietnam War, and a sense among young adults that their freedoms were being curtailed by authority figures, particularly on college and university campuses. On college campuses, students started holding Gentle Thursday events as a way to bring awareness to all of the injustices in society and ask everyone to make an effort to be kind to one another. 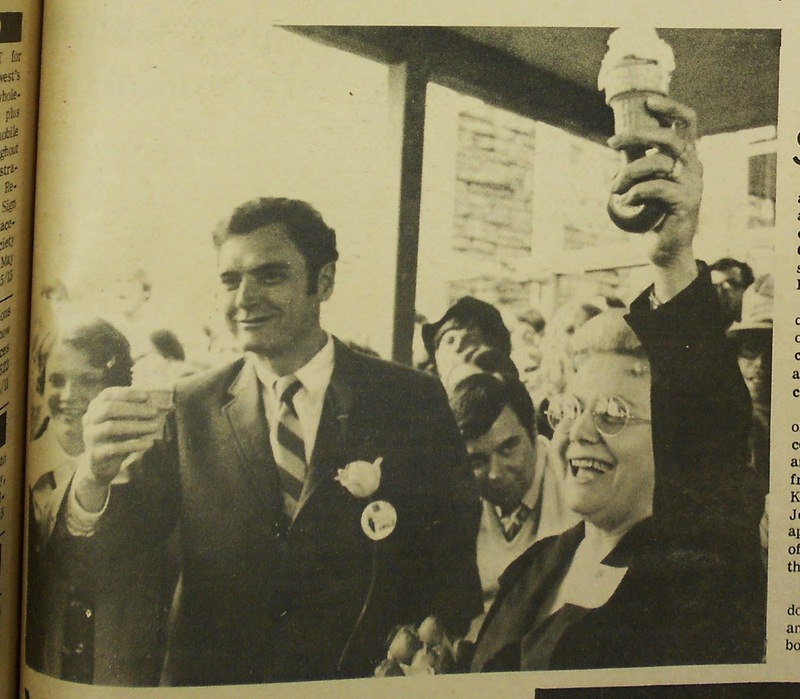 At Central, tensions between students and faculty and administration meant that the May 5, 1967 event was more a day to try to bring everyone together to “take your adversary to coffee” or share an ice cream cone with CMU President Judson Foust. As Ms. Drake noted, one faculty member said students at the time were riled up about everything, except for class. As the 1960s turned into the 1970s and Gentle Thursdays across the United States subsided, CMU maintained the Gentle Friday tradition. Free ice cream courtesy of CM Life was always a big hit. So were hula hoop contests and live music. Overall, it was an enjoyable way to skip a Friday afternoon class and sit in the sunshine on the Warriner Mall. In the 1980s, large raucous parties overshadowed Gentle Friday, but when the time came around that those parties were a distant memory, Gentle Friday was still going strong. 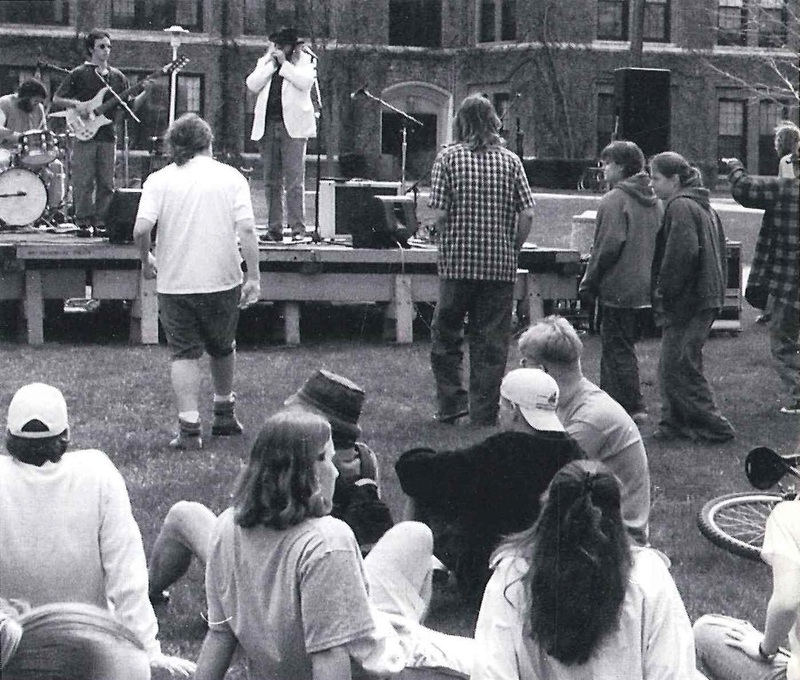 In 2005, Gentle Friday became an official CMU day-off of classes. This gives students the chance to enjoy Gentle Friday all day with some relaxation and studying for final exams in between. This year, CMU is celebrating the 47th installment of Gentle Friday, under the moniker Maroonziee. 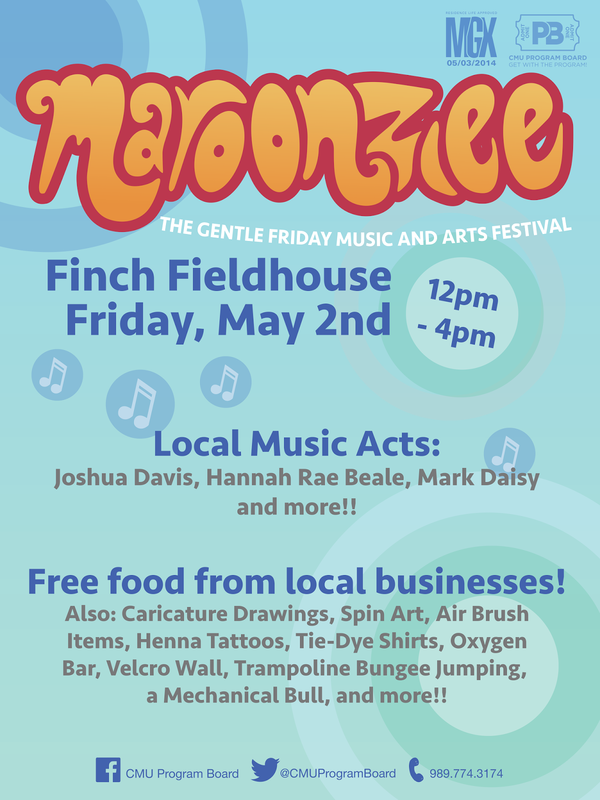 The Finch Fieldhouse will be the site of the event featuring live music, games and activities, and a good time. Hopefully, everyone will be in the spirit of embracing their adversary and sharing a cup of coffee or an ice cream cone.